It's Marla from It's Craftini Time and I have exciting news!! Today I am the Guest Designer here on the Jaded Blossom Blog! Yay!! For my projects I chose to make a Christmas card and Christmas tag for this cute mini baking gift set I found at Joann's. I love baking around the holidays, so I thought this would be a nice hostess gift to bring to a holiday party. 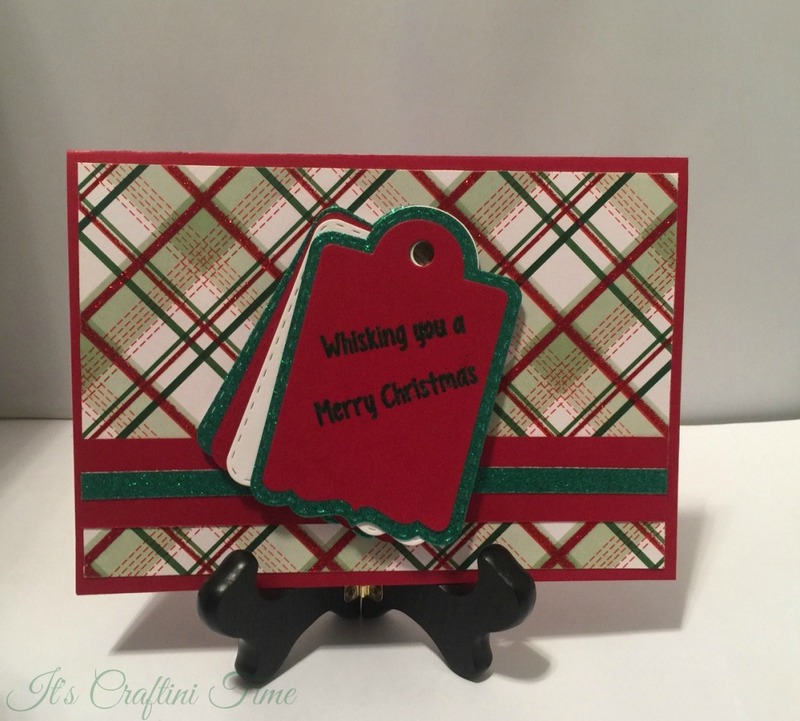 The card is a A7 5x7 card and used the Treat Tag Die to make several different color tags and layered them. I used the Baked With Love Stamp Set for the sentiment. 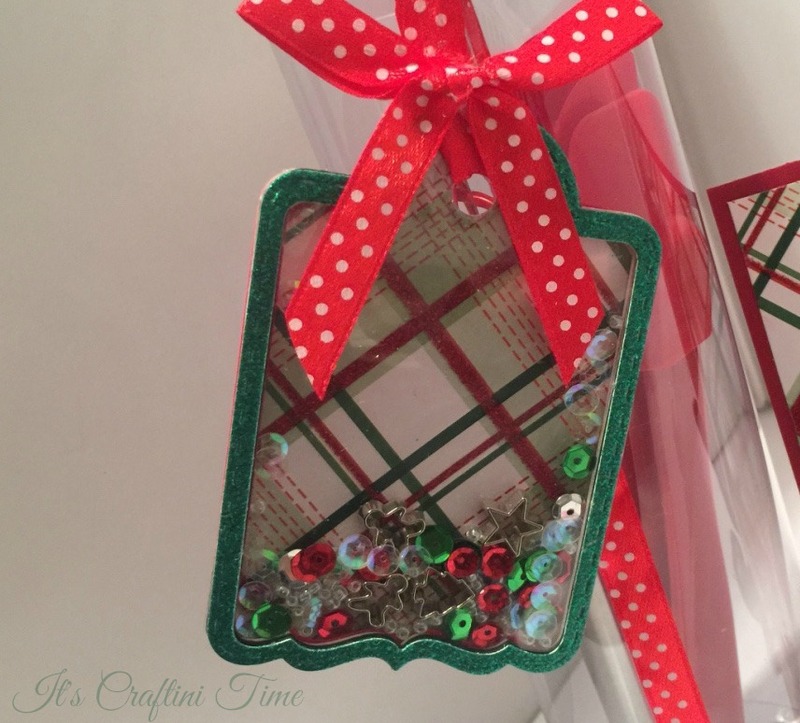 I used VersaMark - Dazzle watermark stamp pad and Stamp n Stuff embossing powder in Green Tinsel. I just love all the shaker projects that have been popping up lately! So, I decided to give it a go. I used the Treat Tag Die and made cut multiple layers of the tag to build up enough space for the sequins, seed beads and some cute tiny cookie cutters to move around in. It was so fun creating this gift set, many thanks to Candace and Michelle at Jaded Blossom for the opportunity to share my creations. Hope everyone has a wonderful weekend!! This is fabulous! 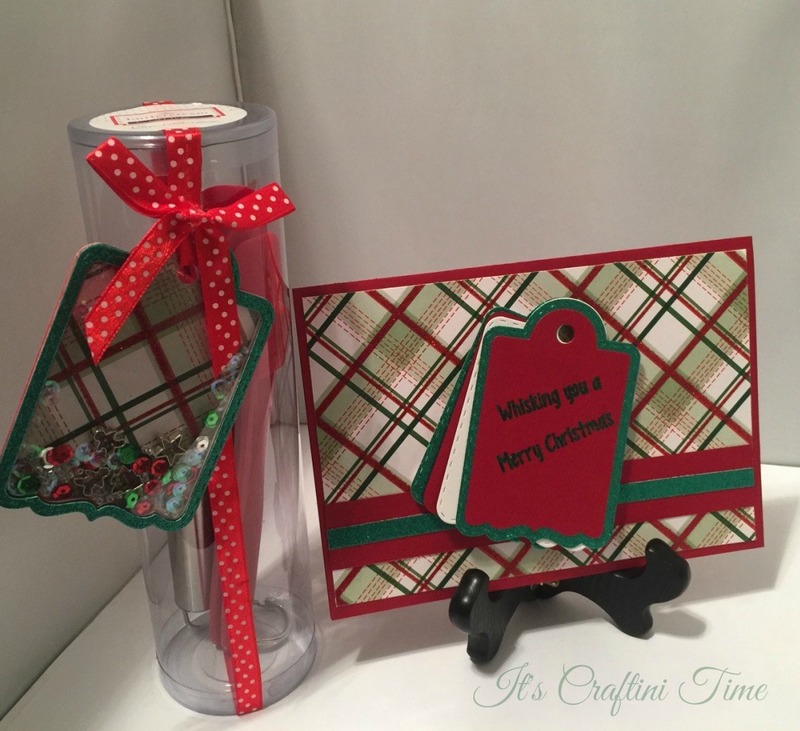 Love the layered tags and the fun little baking set with the shaker! Beautiful set. Love the papers. Marla, your set is darling! I love the shaker~s festive and adorable! The layering looks fantastic! Congrats on your GD spot! Awesome job! Love that shaker! Awesome shaker and gift set Marla! Baking is my favorite thing to do at the holidays! BEAUTIFUL job with your shaker!!! How fun...I especially love that shaker tag! I love the treat tag die! Still my go to after all this time! Great way to show it off! Oh I love that shaker tag!